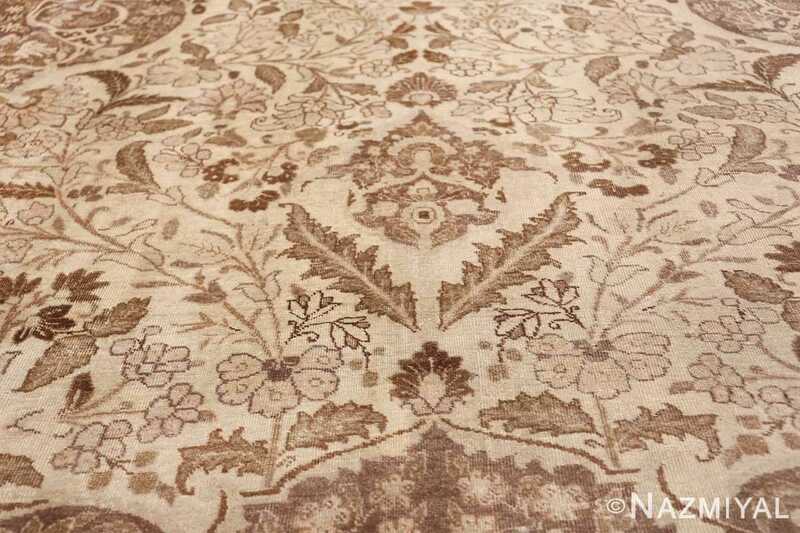 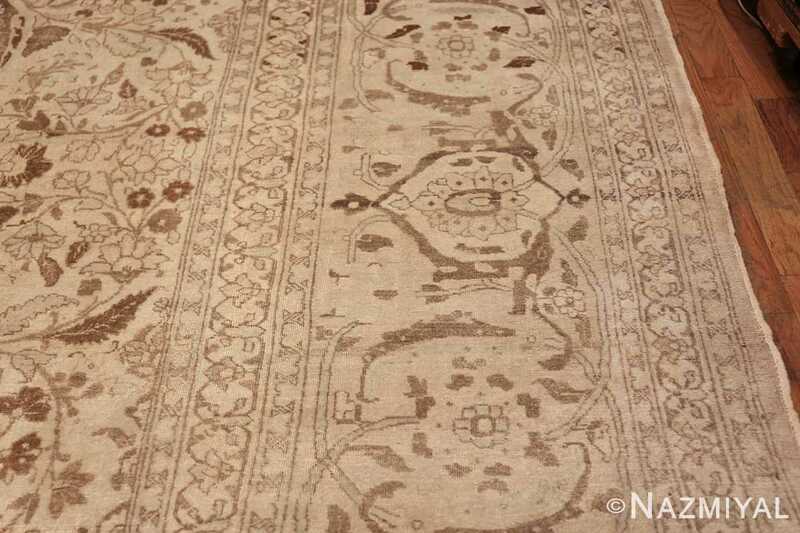 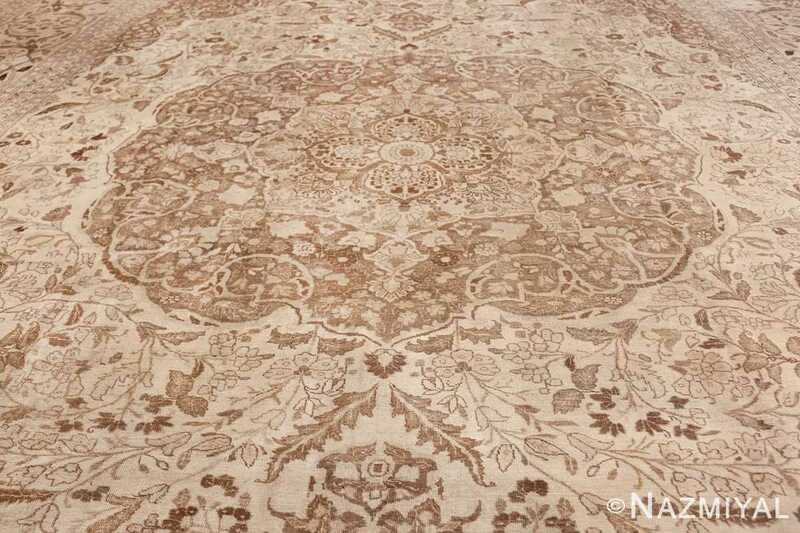 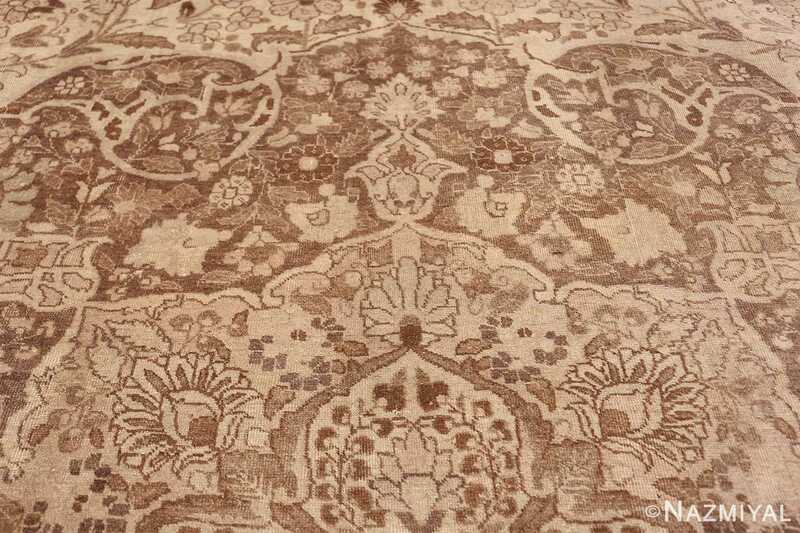 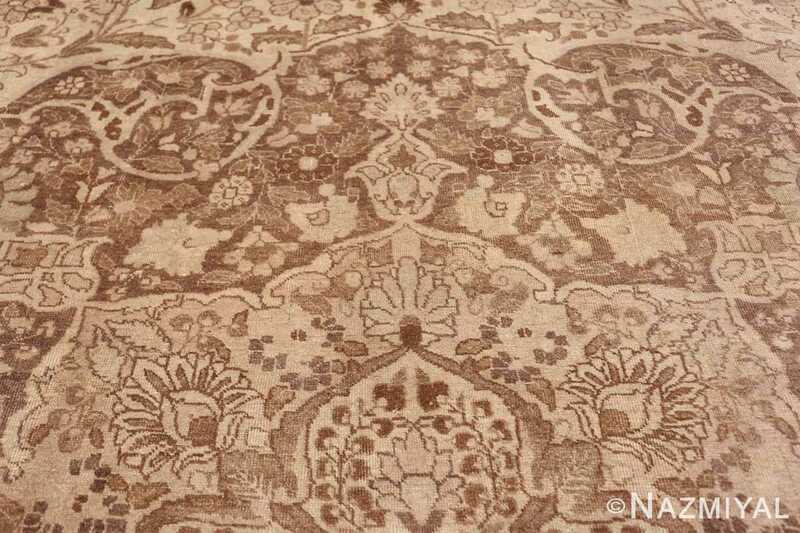 A masterful antique Tabriz carpet, this stunning work exhibits a stunning level of detail, from its terrific central medallion, to its traditional corner pieces, to its richly wrought border. An ephemeral pallet of greys and other soft shades make for a hauntingly gorgeous piece. 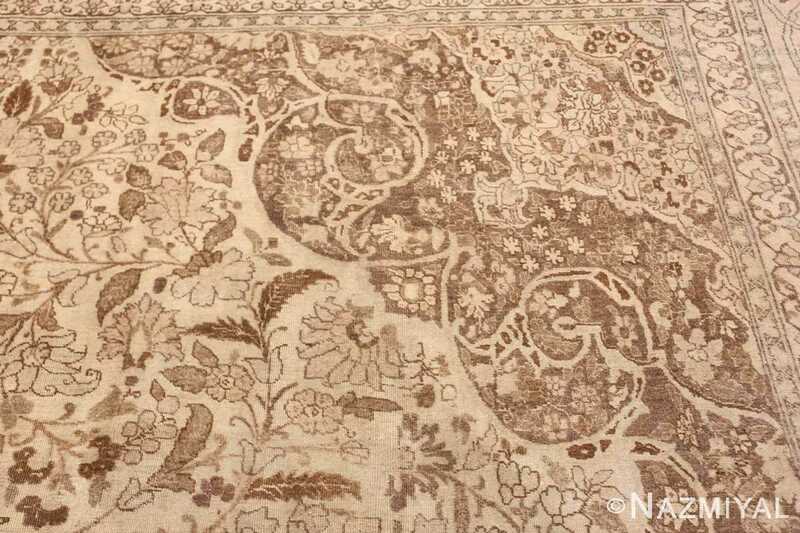 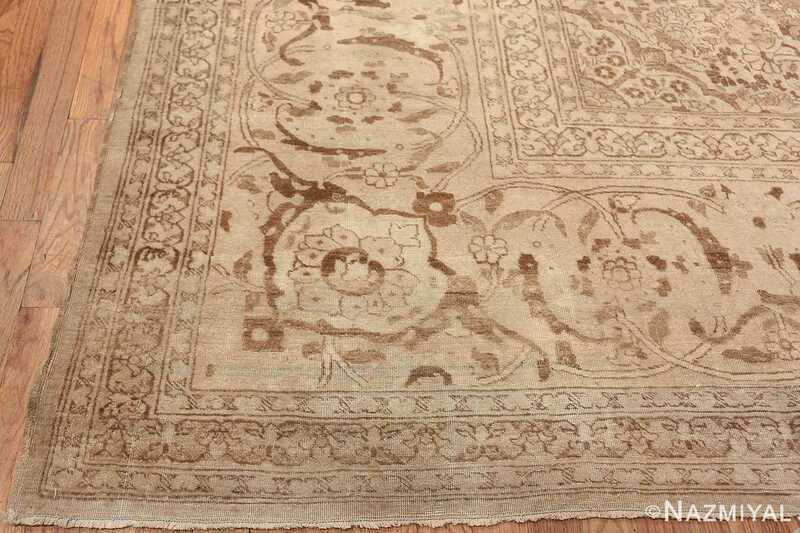 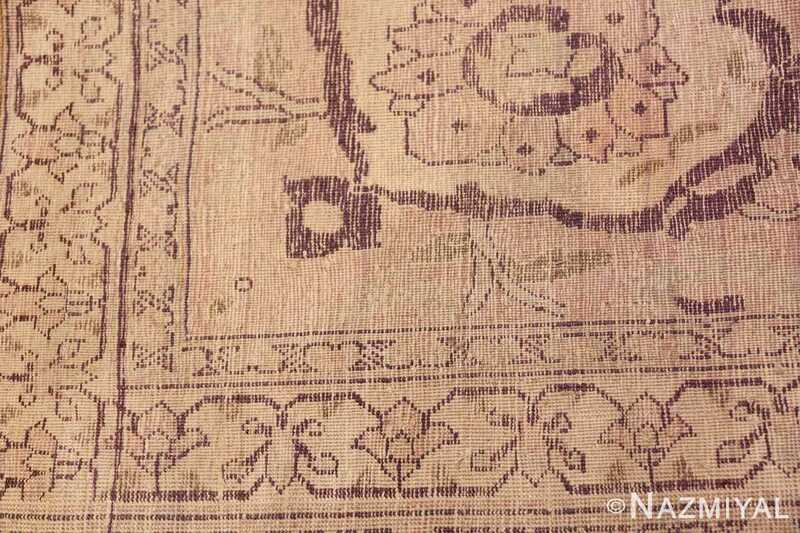 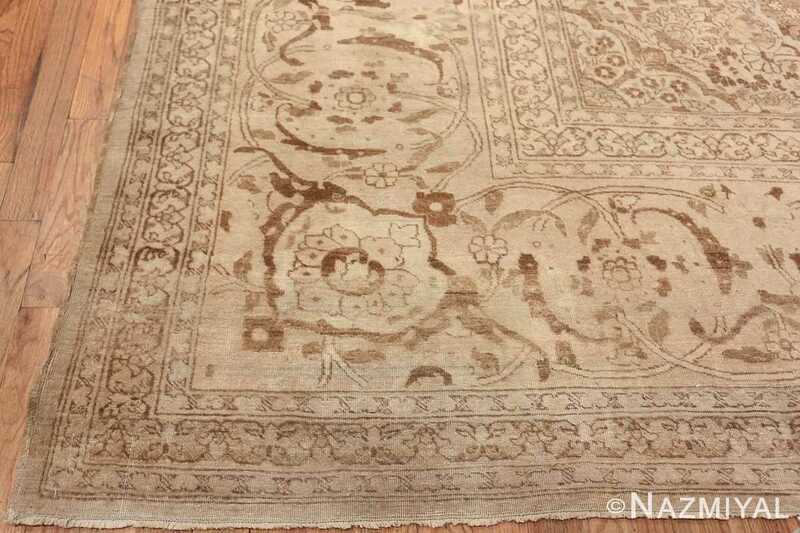 Beautiful Large Oversized Antique Persian Tabriz Rug, Country of Origin: Persia, Circa Date: 1900 – Here is an absolutely phenomenal antique Oriental rug: a large-scale Tabriz of stunning design. 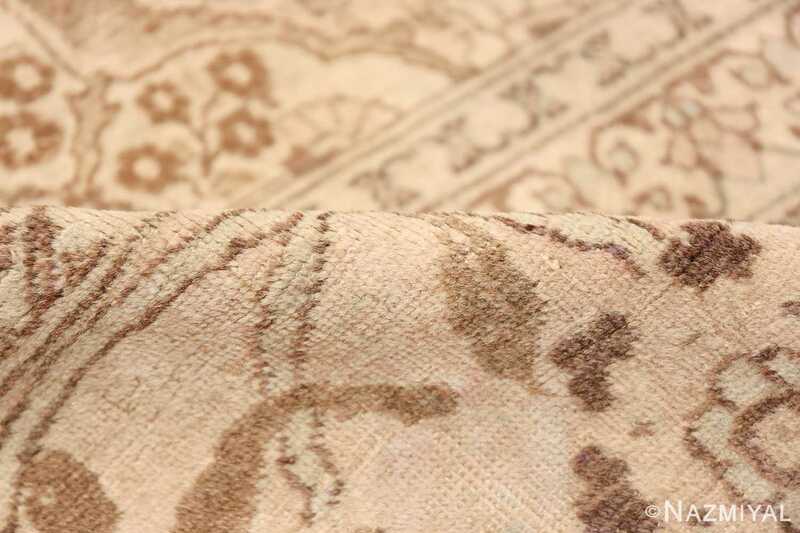 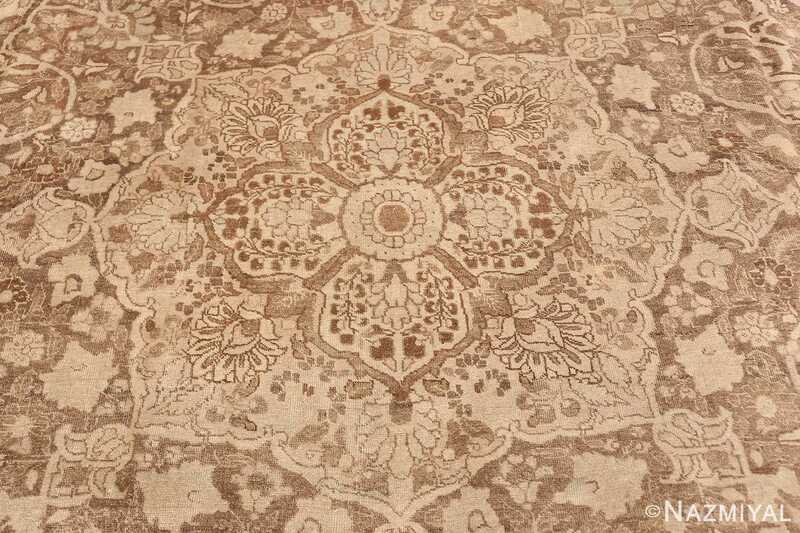 While there are nearly too many exquisite elements of this beautiful carpet to list in one place, there are certain qualities that demand notice. First among these is the ephemeral, hauntingly beautiful monochromatic pallet of this piece. 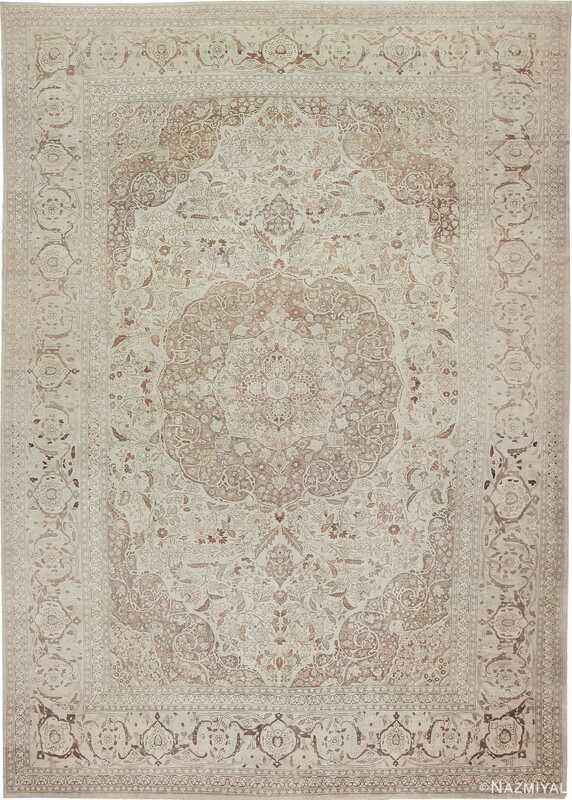 Soft, pale shades of pink and grey take turns serving as the background and the foreground in something of a ballet, sometimes one tone serving as the medium through which the details work, while other times serving as the setting for the action. 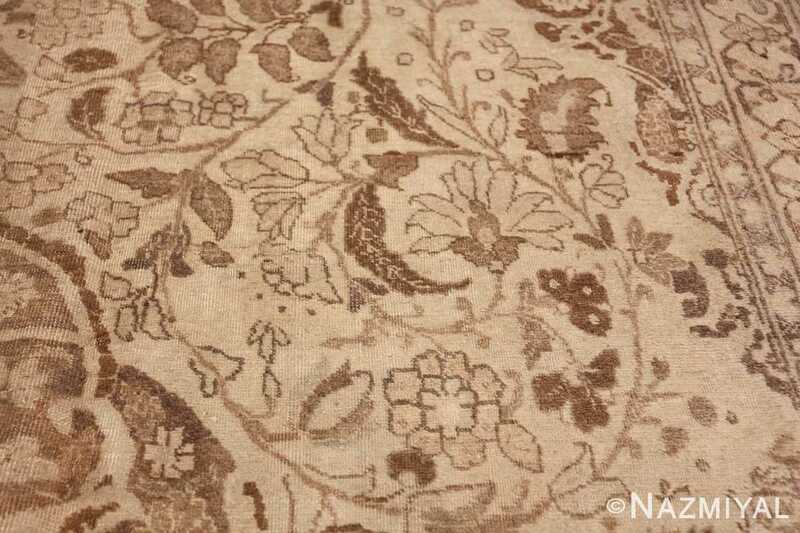 This is all to say nothing of the incredible detail that radiates throughout the carpet, with each flower, vine scroll, and geometric element executed masterfully, with flowing, expert handiwork. 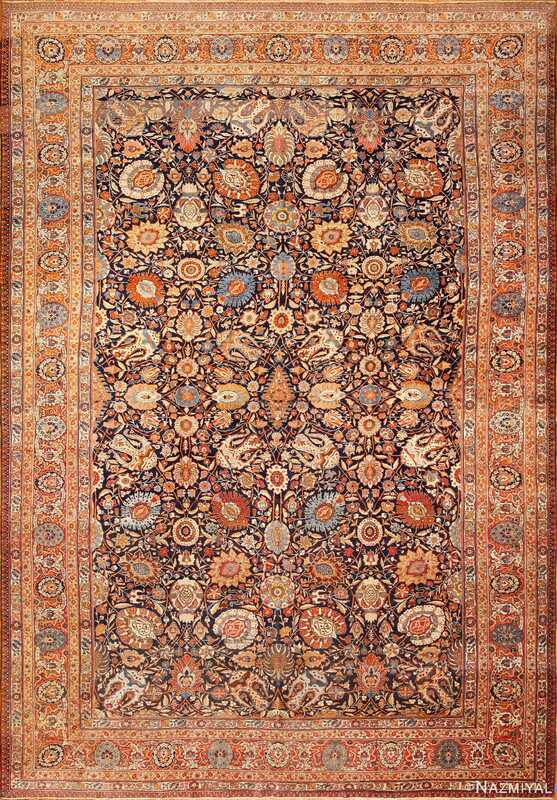 The overall balance of this piece is magnificent, and its classical arrangement, characterized by a central floral medallion, undulating corner pieces, and richly detail, is articulated in a manner consistent with the very finest Persian rugs in the world. 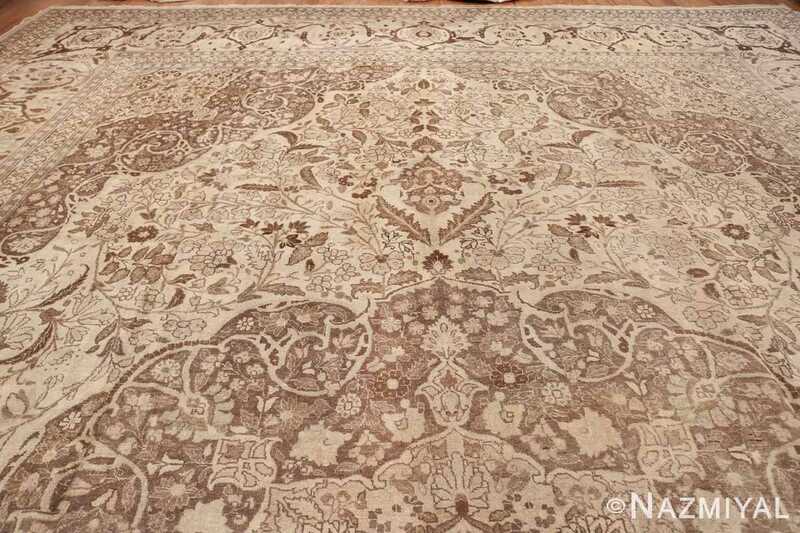 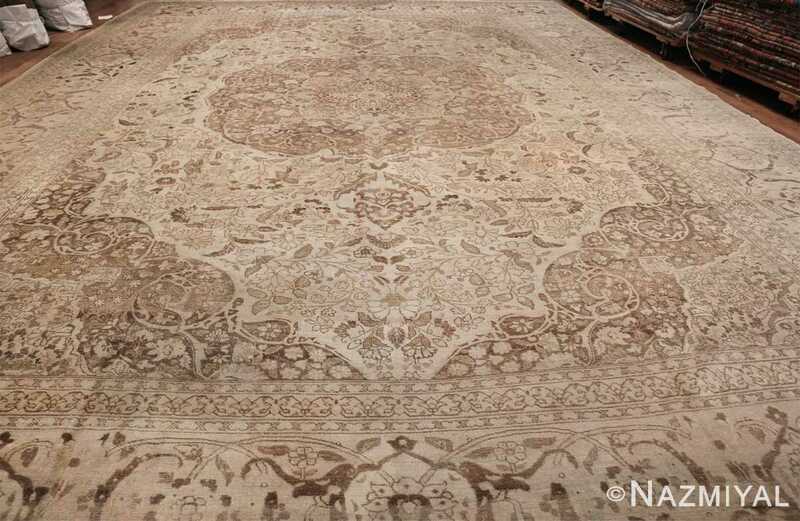 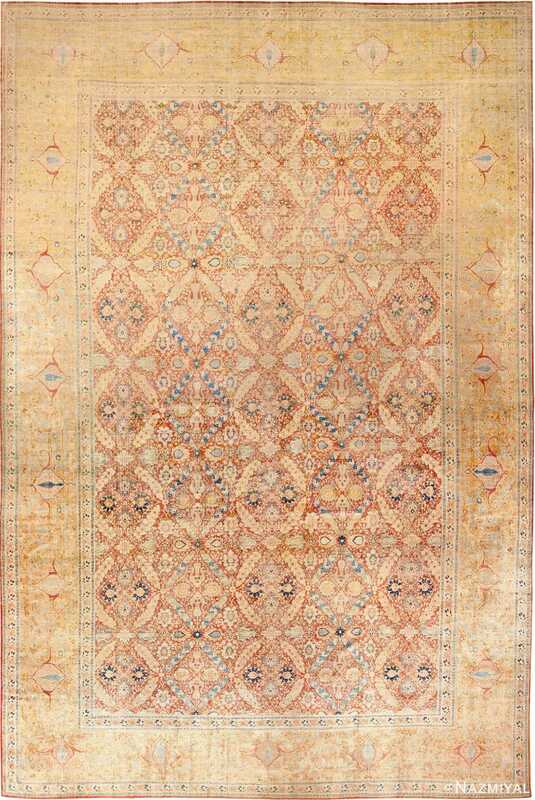 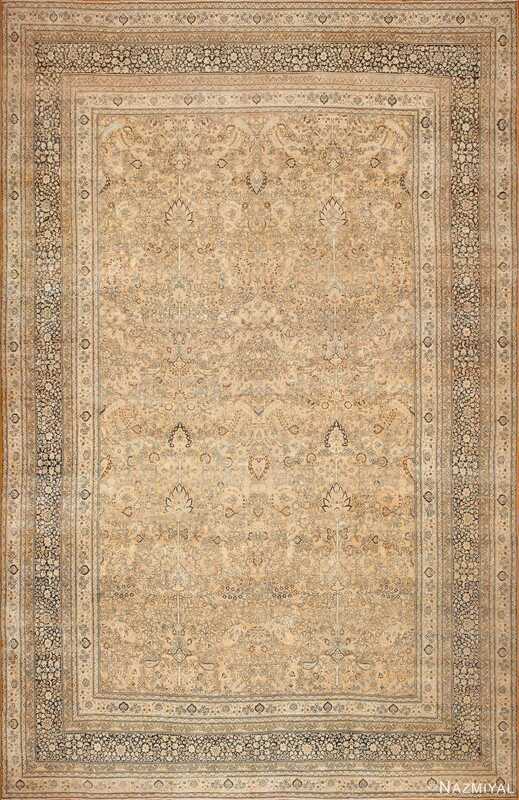 A true masterpiece, this remarkable Tabriz is a testament to the powerful beauty of Oriental rugs.